It is wonderful to see other modern craftsmen and artists working on machines like this again. 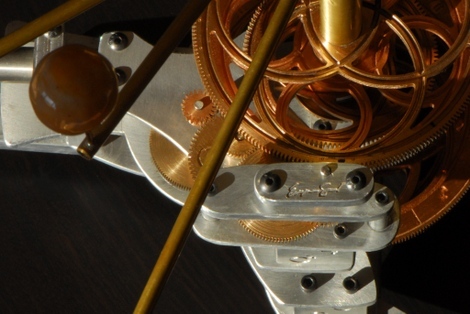 Eugene Sargent recently completed this beautiful Orrery commission for a client. There is a very nice write up on the client’s web site as well as this fun video of it being produced.